$5.99 to $54.99 & FREE Shipping on orders over $59 $35. 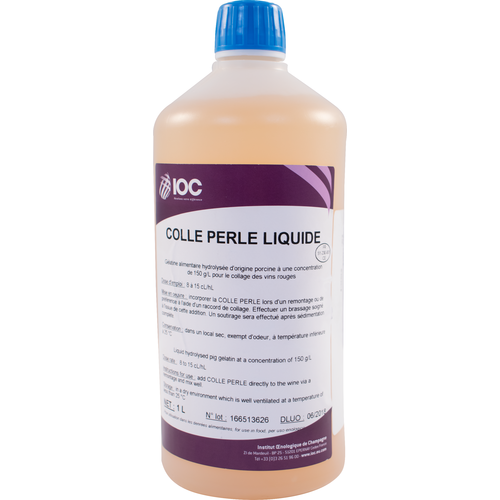 Colle Perle is a hydrolyzed gelatin solution. Primary uses are clarification and the removal of bitter tannins and phenolics. Colle Perle flocculates and settles well. Desirable aromas and flavors are retained while harsh characters are removed. It is particularly useful to optimize potential of hard pressed product. 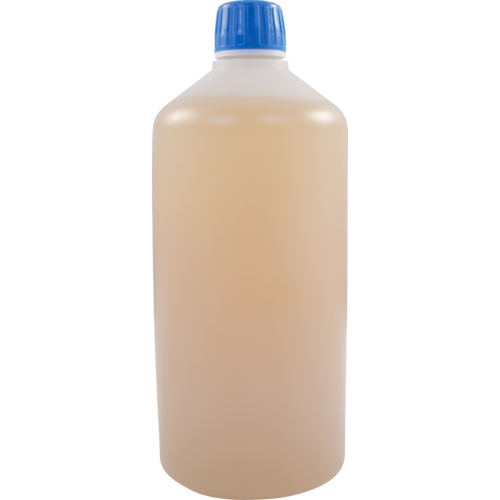 In white wines it can be used in conjunction with bentonite to compact lees. Dosage - Applied at a rate of 4 ml / gal. Juice - Dilute Colle Perle 1:1 in water. Add at the beginning of cold settling and mix evenly and completely throughout the juice. When used in juice Colle Perle should be used in conjunction with bentonite or Gelocolle to improve settling. Racking should be done after 1 week. Wine in Aging - Dilute Colle Perle 1:1 in water. Stir vigorously into the wine to ensure thorough distribution. Racking should be done after 1 week. 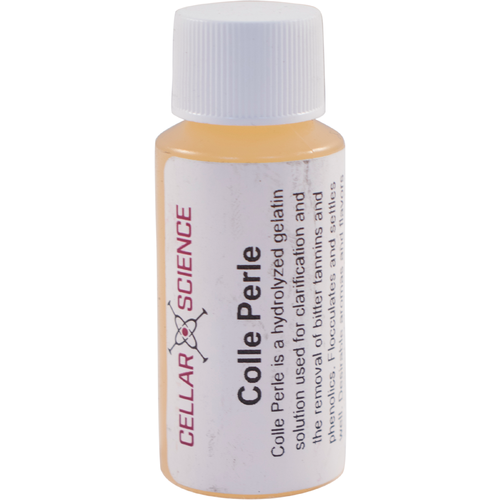 Filtration is possible 48-72 hours after fining with Colle Perle. This is a light form of gelatin agent for fining.